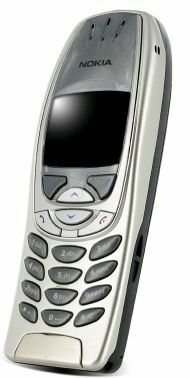 Nokia has received plenty of criticism recently for its outre designs and - this year in particular - poor battery life. However, I've been using a phone which overcomes many of these problems. In contrast to many other Nokia models, function triumphs over form. This is a no-frills business model with several important breakthroughs. First of all, battery life is extraordinary. Modest users should expect ten days to two weeks of standby time. It's a delight in this day and age to know that your phone will be there for you the next day - and the day after. In fact, Nokia officially rates talk time at five hours - not quite so amazing, but still near top of the class. Then there's the ergonomics. It's taller but lighter than other models on the market, but the most striking feature becomes apparent as soon as you start to use it. I recently wrote how Apple discriminated against inebriated users. Well, step up, you lushes - this phone makes dialing and texting a breeze even in the most challenging circumstances. Button presses are clear and crisp, although it could use some more travel on the 0 key. Nokia has evidently put in a lot of work, here. The responsiveness is mirrored by a speedy search function and fast menu navigation. There are also some nice additional features to today's business range. I particularly liked "Timed Profiles" - which allows you to set an expiration time for a chosen profile. So your phone switches out of Meeting mode when your meeting is scheduled to end - or sleep for the night when you don't want to be disturbed. It would be great to see this feature incorporated into other Nokia phones - it's a winner. Unfortunately, all this doesn't come cheap. The cost of this business marvel has gone up at Expansys from around £70 to £100 - and currently it retails for £139.95 inc VAT. Why? Because supply is severely constrained. I understand that Nokia strangely has no budget at all for marketing this marvel. So it's just as well that its word-of-mouth reputation is so healthy. I recently discovered that all three longest-serving members of the El Reg team use this model. The design has some interesting repercussions for the market. Ultimately, the sheer utility of this phone points to a very different future than the one many of us had imagined. Optimising the phone for calls and messaging opens up a new world of 'divergence' where the phone will be accompanied by a dedicated device. I wonder if some enterprising company will step up and produce a portable MP3 player, for example? Or perhaps a box dedicated to navigation? In a world of divergence, the consumer wins, because 'Best of Breed' devices flourish, and raise the standards for everyone. ...just now more appreciated than ever before. The answer to your prayers?